The Foundation members of St John’s Co-Cathedral are custodians of a national treasure. The Foundation administers the Church and Museum in order to ensure its effective conservation and management as a historic and architectural monument as well as a sacred place of worship. Without affecting the integrity of the sacred and the historical nature of the church, the administration of the Foundation works to generate revenue for the maintenance and restoration of St John’s Co-Cathedral and its museum. The Foundation is also responsible for enhancing the presentation of The Collections and increasing the accessibility for the benefit of the general public, scholars and researchers. 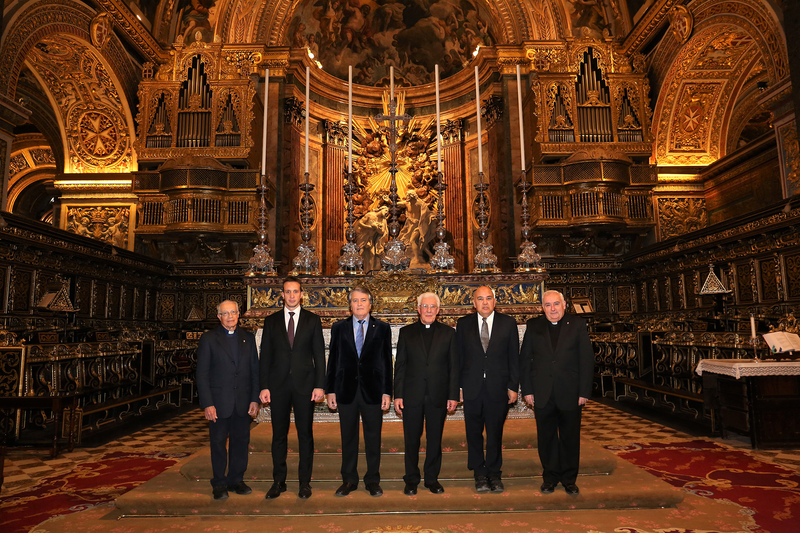 From left to right: Mgr Joe Bugeja; Mr Wilfrid Buttigieg; Dr Philip Farrugia Randon; Mgr Louis Camilleri (President); Dr Ray Bondin; Mgr Victor Zammit McKeon.